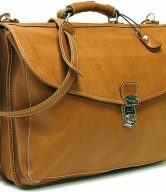 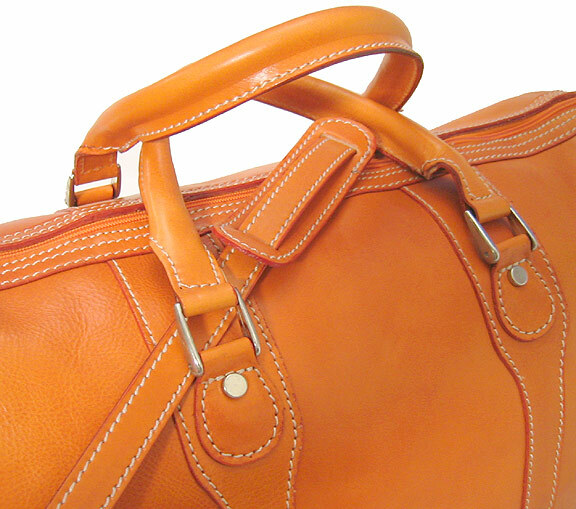 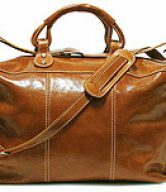 Milano Duffle comes in 5 colors – Vecchio Brown, Olive (Honey) Brown, Black, Tuscan Red and Orange. 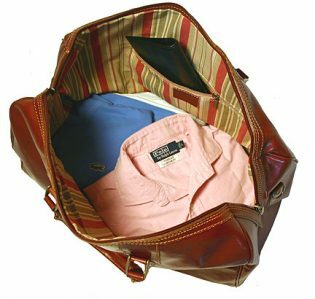 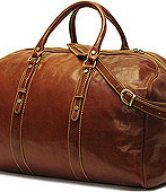 When a full set of standard luggage is not needed, the Milano Italian Leather Duffle Bag is a quick and easy way to get packed and on your way fast, and look stylish while travelling. 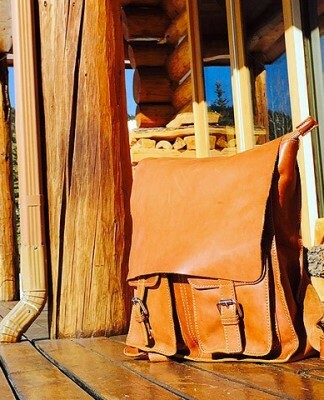 Not only is it rugged and durable, it’s functional as well. 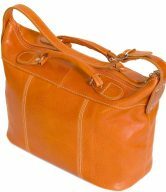 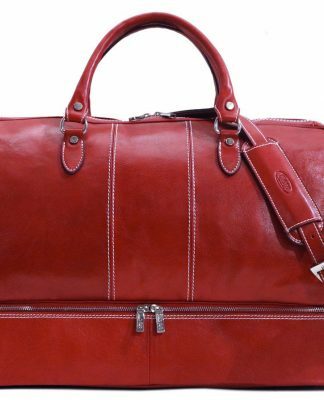 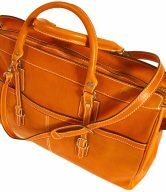 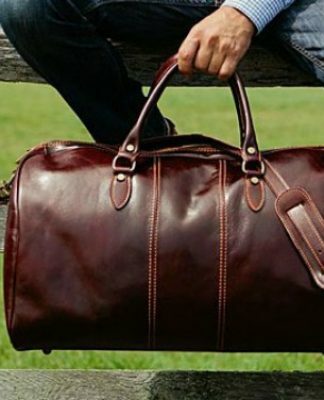 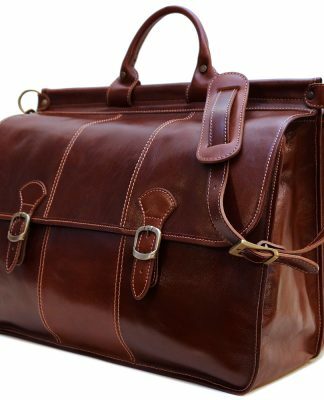 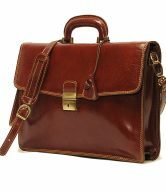 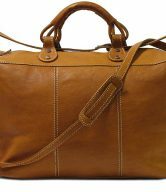 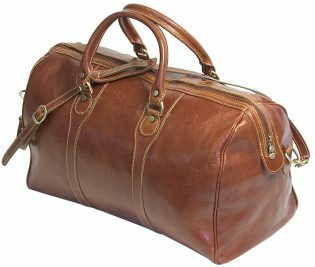 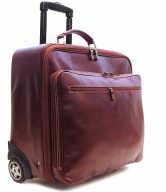 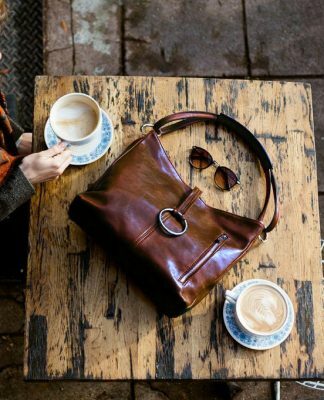 This Italian leather duffle bag is made from polished Italian calf-skin leather, has reinforced handles and an inside zip pocket for holding a passport and travel supplies.